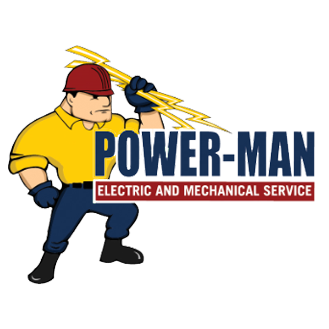 Power Man Electric & Mechanical Services Inc.
Power-Man Electric and Mechanical Service, Inc., has more than 30 years of experience in serving the Electrical and HVAC needs of the greater Atlanta area. As a locally owned and operated business, we take great pride in providing both our commercial and residential clients with an exceptional degree of expertise and customer service. We are licensed and fully insured with a 100% satisfaction guarantee. To give our new and returning customers an opportunity to truly experience the Power-Man Electric and Mechanical Service difference, we invite you to take advantage of our Free Membership Program (limited time offer). As a valued member, you will have the opportunity to receive discounts on services at rates unmatched by our competitors. For more details about our membership program, give us a call at 404-721-0166, or simply use our Contact us tab to begin your savings today! Reviews for Power Man Electric & Mechanical Services Inc. I would highly recommend them to anyone having any starter or alternator issues, as thats there specialty. thanks again Power-man Electric Service. Kind and courteous with great service! I was in town to see my daughter at school and one of the windshield wiper arms on my car had become lose. They tightened it for me and refused to accept any payment. Highly recommended! Very fast service! All their employees were professional in every way. Thanks. Fitted my shower and even though he is my brother he did a great job.Power-man Electric Service of Ellenwood, great electrician.